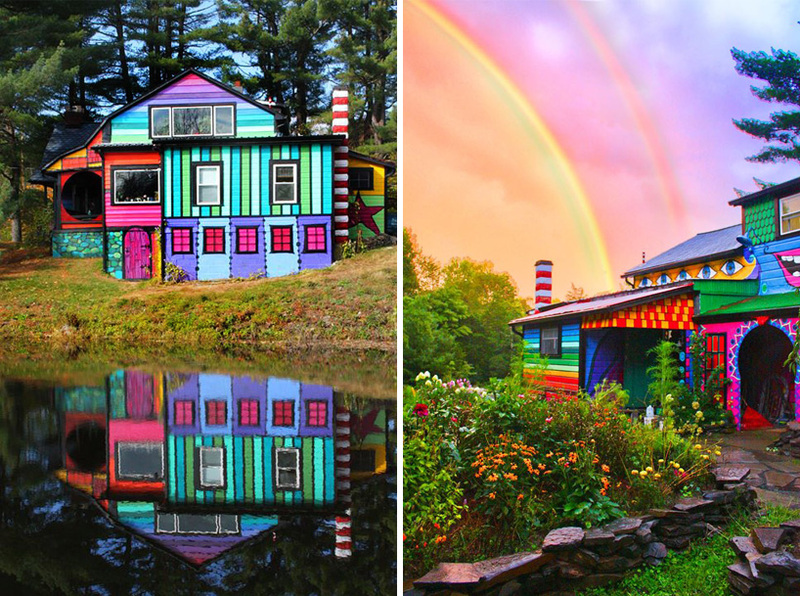 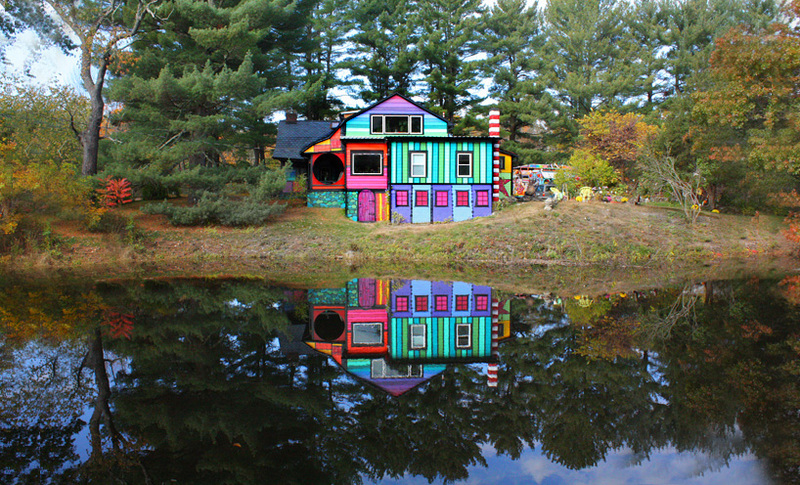 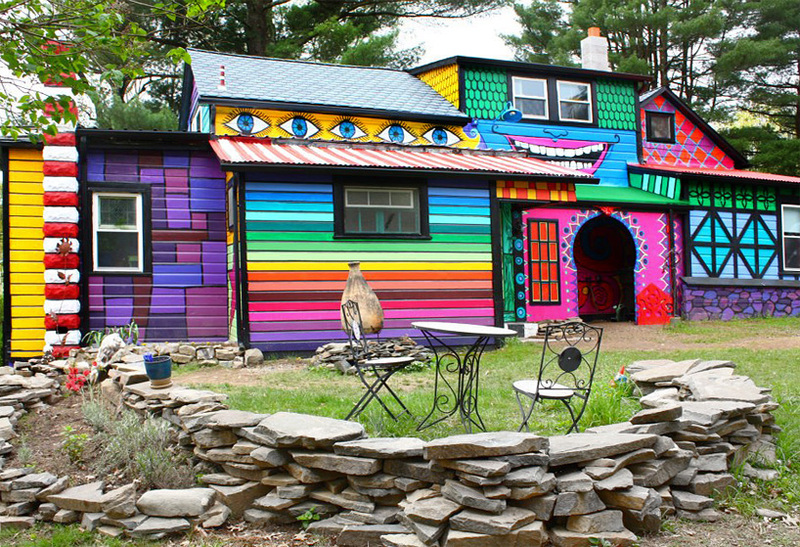 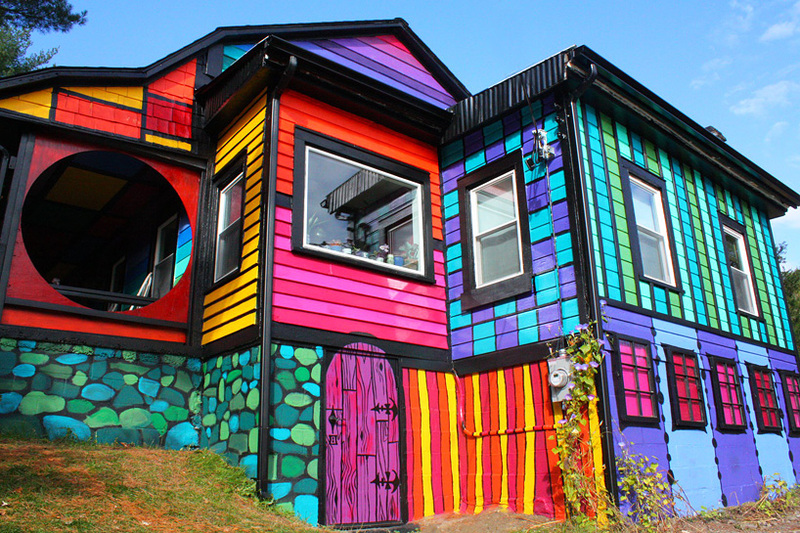 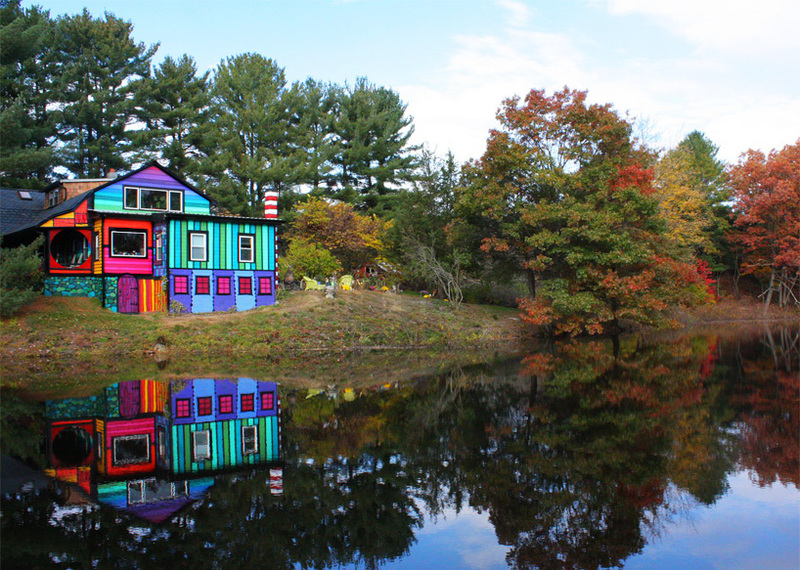 Artist turns her New York home into a psychedelic retreat when American artist kat o’sullivan purchased a run-down 1840s residence in upstate new york, she planned for its total reconstruction into a psychedelic retreat, painted in a spectrum of rainbow hues and large-scale frescoes. 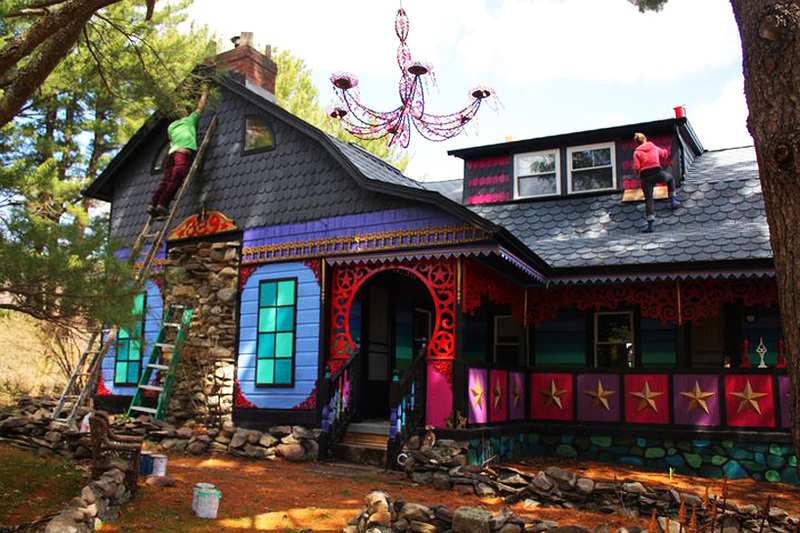 Since then, she and partner mason brown have added oddly shaped windows, vibrantly colored exterior paneling and a pink front door to their home, transforming it into ‘calico’. 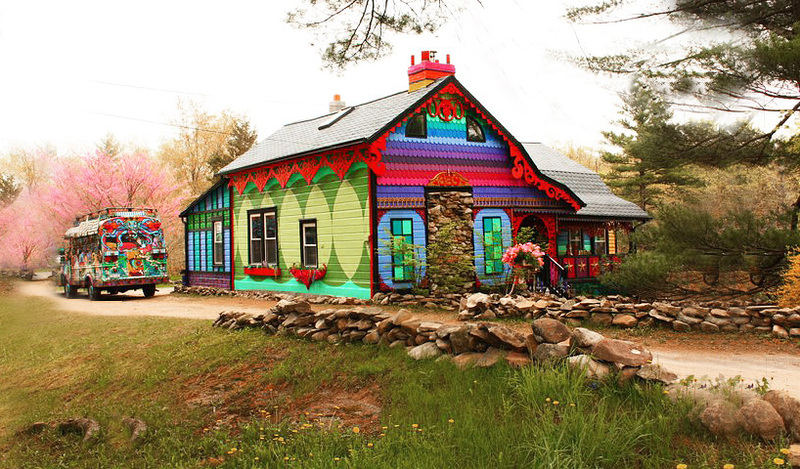 black-painted trim gives the entire scheme a cartoon-like quality, as if torn from the pages of a comic magazine. 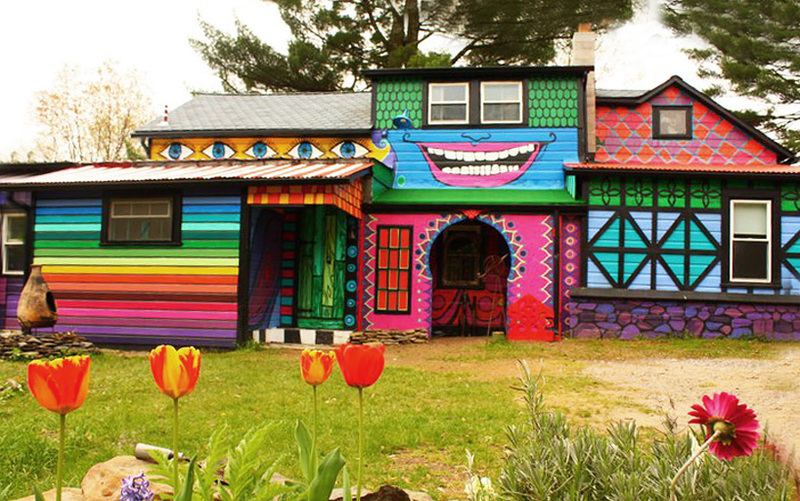 a hand-painted mural illustrated near the roof draws out the shape of smiling mouth, while two adjacent window-frames serve as the eyes of the architectural face.